Subhanallah... she looks beautiful in her abaya and the colours matched nicely. she's beautiful, mA! the scarf is so cute! I ADORE the flower in the hair! She looks really lovely and her scarf is so nice! 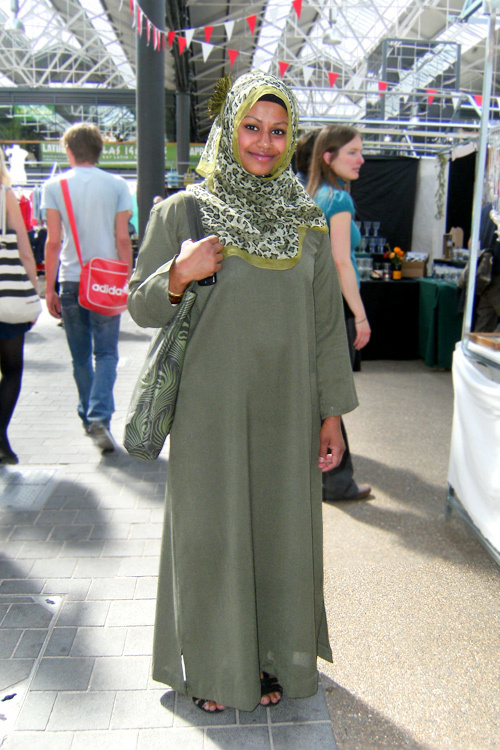 Now THIS is what I call hijab, masha'allah, sister! Cute abaya, great scarf and I just adore the bag! :o) May Allah bless you and reward you with the highest level of Jannah! yes beautiful colors , love the animal print looks nice mashaallah.